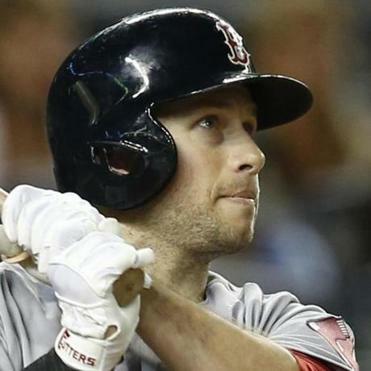 The Red Sox reached an agreement with outfielder/first baseman Daniel Nava on a one-year, nonguaranteed contract to avoid salary arbitration on Thursday. The Red Sox reached an agreement with outfielder/first baseman Daniel Nava on a one-year, nonguaranteed contract to avoid salary arbitration on Thursday. The contract, according to a major league source, calls for Nava to receive a $1.85 million big league salary, close to the $1.3 million offered by the team and the $2.25 million salary sought by Nava in arbitration. With Nava signed, the Red Sox have just one arbitration-eligible player — lefthander Wade Miley — who has not yet reached agreement on a contract. The Red Sox also announced the signings of five free agents to minor league contracts: first baseman/outfielder Bryan LaHair, who went to Holy Name Central in Worcester; outfielder Quintin Berry, who played with the Red Sox in 2013; lefthander Dana Eveland, righthander Felipe Paulino, and catcher Humberto Quintero. All five players received invitations to major league spring training camp. The Phillies signed righthander Chad Billingsley to a $1.5 million, one-year contract. Billingsley spent all of last season on the disabled list for the Dodgers while he recovered from Tommy John surgery on his pitching elbow. His contract includes performance bonuses . . . Former New York Mets general manager Omar Minaya left his job as senior vice president of the San Diego Padres to become a special adviser to Major League Baseball Players Association head Tony Clark . . . Nationals outfielder Jayson Werth pleaded guilty to reckless driving in Fairfax, Va., and was sentenced to five days in jail for driving 105 miles per hour on the Capital Beltway in July. Werth will serve his sentence on weekends to minimize disruption to his rehabilitation following shoulder surgery . . . The Mariners signed catcher John Baker to a minor league deal with an invite to spring training . . . Wichita State University’s baseball program was placed on probation for one year after the NCAA found that the Shockers used 21 players who received impermissible benefits over a two-year period. The NCAA decided that Wichita State’s storied program would need to vacate wins from 2011-13 — including its 2013 NCAA tournament appearance. The sanctions will not disqualify the Shockers from competing in any postseason tournaments. The school must also pay a $5,000 fine. Duke University dismissed junior guard Rasheed Sulaimon from the men’s team. Coach Mike Krzyzewski said in a statement that Sulaimon ‘‘has been unable to consistently live up to the standards required to be a member of our program.” Krzyzewski didn’t not give any details as to what standards or conduct Sulaimon failed to meet, but university spokesman Matt Plizga said that Sulaimon remains in good academic standing and is expected to finish the spring semester . . . New Orleans Pelicans coach Monty Williams said star forward Anthony Davis has a mild groin strain and could play again as soon as Friday night against the Clippers . . . Utah Jazz forward Gordon Hayward did not participate in practice because of sinus congestion, but is still scheduled to play Friday. The American Hockey League announced the creation of a Pacific Division for next season, the product of nearly three years of discussions with the NHL. The Sharks will move their affiliate from Worcester to San Jose, Calif. The Los Angeles Kings’ AHL and ECHL affiliates will switch leagues, with Ontario joining the AHL and Manchester, N.H., the ECHL. The Anaheim Ducks will buy the Admirals and move them from Norfolk, Va., to San Diego. The Calgary Flames will relocate their affiliate from Glens Falls, N.Y., to Stockton, Calif. The Edmonton Oilers will move their affiliate from Oklahoma City to Bakersfield, Calif. . . . Goaltender Martin Brodeur formally announced his retirement to take a front-office position as a senior adviser with the St. Louis Blues, where he wrapped up his career after 21 outstanding years with the Devils and three Stanley Cups. Brodeur has the most wins of any goaltender in NHL history, compiling a 691-397-176 record. He said it’s possible that he will return to New Jersey in a front-office role in the future. Nineteen-year-old Chase Elliott will replace Jeff Gordon in the No. 24 Chevrolet when the four-time NASCAR champion gives up his seat at the end of this season . . . The IndyCar Series opener scheduled for March in Brazil’s capital of Sao Paulo was canceled, according to Band TV, the television network promoting the event . . . Elena Radionova, Elizaveta Tuktamysheva, and Anna Pogorilaya led a Russian sweep of the top three spots in the women’s short program at the European figure skating championships in Stockholm.